It is with the humble acceptance of God’s will that we announce the death of Joseph Muia which occurred on 14th April 2018 after a long battle with prostate cancer. 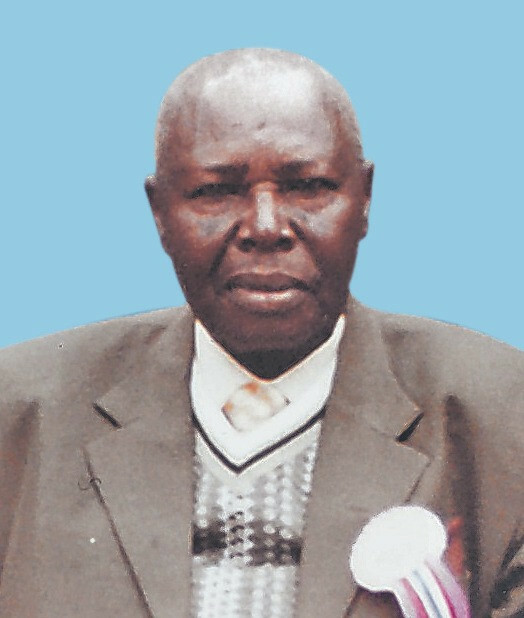 Son of the late Nzioka Kaseu and the late Ruth Kathio. Husband of Mama Rhoda and Mama Harriet. Father of Shadrack Muthini, Agnes Mori, Esther Munyoki, Mary Ahere, Sarah Syombua, Cyrene Kathio, Eunice Ndunge, Henry Muema, Tiffany Kamene, Lillian Mutile and the late Suleiman Abubakar, Stephen Makenzi, Ken Nzioka, the late David Musembi, Julius Mwendo, Catherine Meli, Winnie Mbatha, Emma Kalekye and Jairus Mulu. Brother of Simon, Lucia, Margret, Rachel and the late Beth. He had 46 grandchildren and 10 great grandchildren. Father-in-law of Shadrack, the late Simon, Mori, Domnic, Joyce, Barkey, Lillian, Eunice and Alice. The cortege leaves Montezuma Mortuary, Machakos on 21st April 2018 at 9.30am to his home. Relatives and friends are respectfully invited to attend his burial to be held on 21st April at his home, Kakungu village, Masii - Machakos. In God’s hand you rest, in our hearts you remain forever.